In The House of the Hidden Places, first published in 1895, Adams clearly lays out evidence that the Great Pyramid at Giza corresponds architecturally to the initiation ritual detailed in the Egyptian Book of the Dead (which Adams preferred to call what he felt was its rightful title, The Book of the Master). 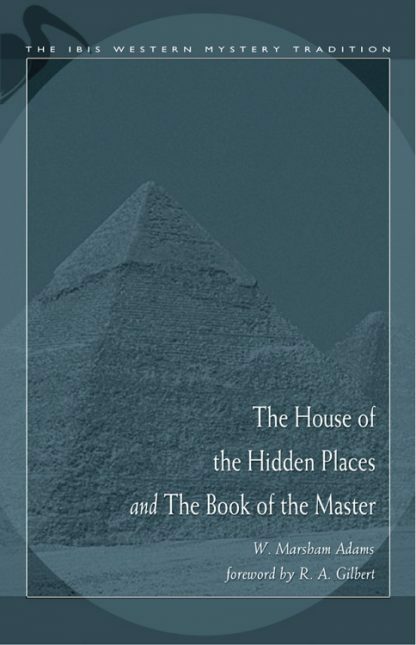 The House of the Hidden Places was the first book to go beyond the current speculations on the astronomical purpose of the pyramid to reveal its deeper meaning. The Book of the Master, first published in 1898, is an in-depth exploration of the religious beliefs of the Ancient Egyptians. His penetrating study revealed startling insights for his day, pointing to the origins of Christian theology as well as those of humanity itself. Long before Dr. Leakey discovered proof of our African origins, Adams theorized, based on his Egyptian studies, that civilization began in Africa, rather than Asia, which was the accepted theory in his time. W. Marsham Adams was born in England in 1837 and died some time prior to 1933 when E.J. Langford Garstin published his abridgement of Adams's books in The Book of the Master of the Hidden Places. Adams was a fellow at New College, Oxford, and a respected scholar of Egyptology.